Allows all steam to pass through. Perfect for embroidery and all stabilizers. Press without crushing or flattening fibers and threads. No damage to delicate fabrics. No scorching, no dark fabric shine. 100% heat safe transfer. Made from ICFLON non stick surface. 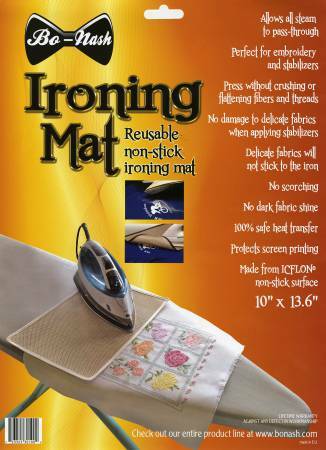 Adele's tips: Keep this handy on the ironing board to use whenever you don't want the iron directly on the fabric. 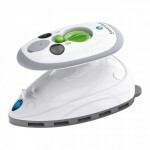 Great for fusible fleece which benefits from a shot of steam but the iron could melt if directly on it.